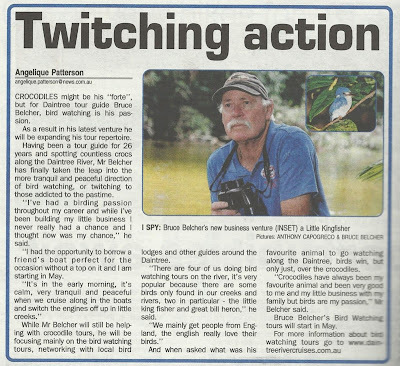 Chris Dahlberg lives in the Daintree Valley at Wonga Beach and is a keen birdwatcher. From time to time he puts up a post of interest to visiting birdwatchers. 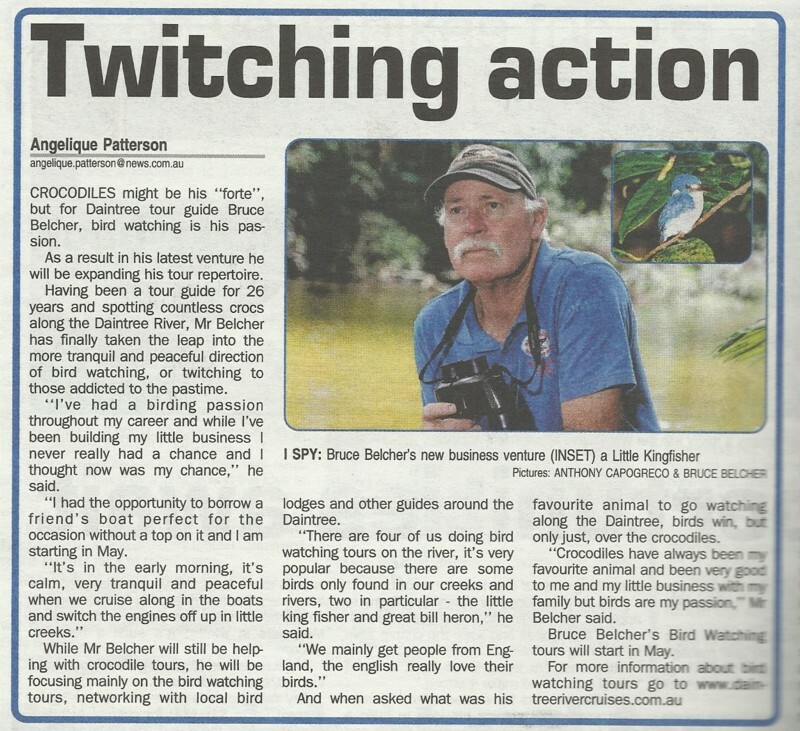 One of the longest serving tour guides in Daintree is going to follow his dream of being a birdwatcher guide. If it is anything like what Bruce normally does he will be a good one. Bruce Belcher, a mate of mine for a quarter of century starts his operation on 1 May 2013. He plans to use the lower reaches of the Daintree with a birdwatching boat for a 2&1/2 hour early morning tour at a cost of $65. This is really good news for visiting birdwatchers because the other birdwatching guides work upstream in the freshwater reaches and so the visitors will have the opportunity to do both parts on different days. Since dawn trips started on the Daintree more than 20 years ago the Daintree River has become world renowned for birdwatching. Crocodiles are in the food chain.